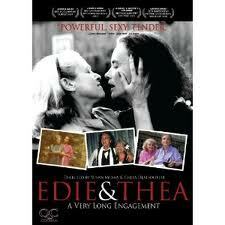 of the award-winning film Edie & Thea - in my weekly column. I'm a weekly columnist for the The Desoto's LGBT section. Every week, I write about arts, culture, and political issues. Antigay Minister Steps Down From Obama Inauguration - My take on the Louie Giglio scandal a few weeks ago. Beginners a Perfect Gay Movie for the New Year - A review of the film Beginners, starring Ewan Mcgregor as an artist struggling with the death of his father (Christopher Plummer). Happy Holidays, Edie Windsor - Voices like 83-year-old Edie Windsor’s are like a hammer, working tirelessly to shatter the Defense of Marriage Act, and it won’t be long before that law is smashed forever, relegated to the dust of the past, as we look toward the future. Read about this extraordinary activist. To read more of my weekly columns about arts, entertainment, and political issues in the LGBT world, please click here.